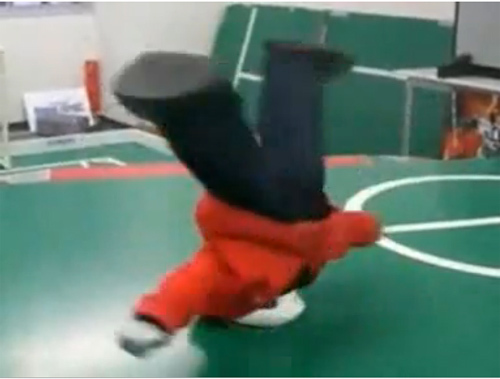 The South Korean team have been crowned fastest texters in the world. The team of 18 year old Yeong-Ho Bae and 17 year old Ha Mok-Min went thumb-to-thumb against competitors from more than a dozen countries to win the title in a competition today in New York City. 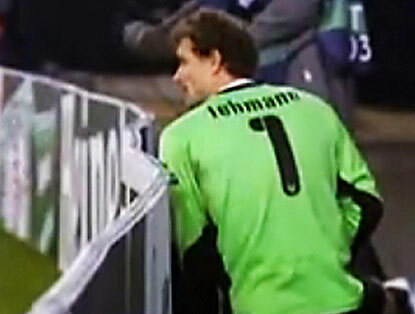 Stuttgart goalkeeper Jens Lehmann proved he wasn’t a shy guy when he went for a toilet break behind the goal during Stuttgart’s Champions League victory. The former Arsenal goalkeeper, confronted with the wee problem of being caught short in front of 40,000 fans nipped over the advertising boards, crouched down and urinated.